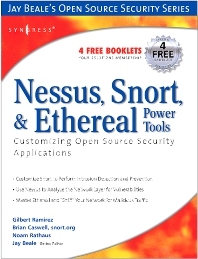 Nessus, Snort, and Ethereal Power Tools covers customizing Snort to perform intrusion detection and prevention; Nessus to analyze the network layer for vulnerabilities; and Ethereal to sniff their network for malicious or unusual traffic. The book contains an appendix detailing the best of the rest open source security tools. Each of these tools is intentionally designed to be highly customizable so that users can torque the programs to suit their particular needs. Users can code their own custom rules, plug-ins, and filters that are tailor-made to fit their own networks and the threats which they most commonly face. The book describes the most important concepts of coding and customizing tools, and then provides readers with invaluable working scripts that can either be used as is or further refined by using knowledge gained from the book.